Governor Peter Shumlin has thrown his support behind the plan to put F-35 fighter jets at the Vermont Air National Guard base. Shumlin says he’s proud that the Air Force has made the Vermont Guard one of its top two choices for the new planes. "My own opinion is that we should be honored as a state to have this opportunity to host the F-35s, that it’s a real comment and commentary on how proud I am of our National Guard," Shumlin said. "We’ve got the best National Guard in the country. That’s why the Pentagon wants to put these planes here." But the proposal has been much less welcome among officials and residents in communities around Burlington International Airport. They worry about the noise the new generation planes will cause, especially in residential areas that currently are relatively protected from the F-16s that are now based in Burlington. But Governor Shumlin says he thinks the noise will be offset by other factors. "We know that these planes are louder than the current planes that we are flying," he said. "They also emit a lot less air pollution and they’re faster. So it’s a lot shorter period of time that you’re going to hear the noise. Everything in life is a trade-off. We’ve got to look at all the challenges involved with this change." City officials aren’t nearly so supportive. 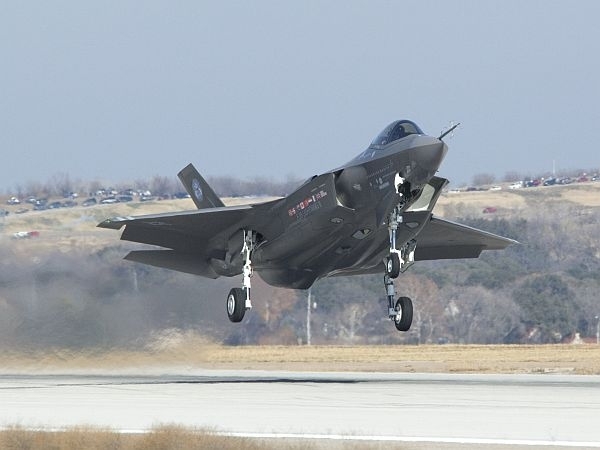 The South Burlington City Council adopted a resolution opposing the F-35 this week. The City Council in Winooski has raised questions about the noise, although it hasn’t come out for or against the planes, yet. The National Guard says the F-35s are important to its future. The Air Force says it expects to decide where it will base the aircraft by the end of the year. A strong supporter of basing the F-35 fighter jets with the Vermont Air Guard in South Burlington says the Air Force is delaying its environmental impact report to include the latest census data.